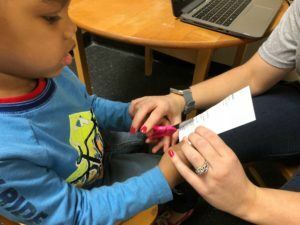 ABC Pediatric Therapy - I Filled Out The Interactive Screening Tool….Now What? ABC Pediatric Therapy - I Filled Out The Interactive Screening Tool….Now What? I Filled Out The Interactive Screening Tool….Now What? The ABC Interactive Screening Tool was developed to empower the parent. We want parents to know what to challenge and when. We do not want your child arriving at preschool or kindergarten not being able to cut, put on their coat or eat the snack provided. What can you, as a parent, do to ensure your child is reaching their potential? The answer…. get educated. We want to help! First, click below to fill out the online screening tool. Ok, you have filled out the tool. Now what?!? The tool was designed to be a quick look at how your child is doing. A chance for you to take a look for yourself. Try age appropriate skills with your child to really see for yourself how they are doing. It is important to understand that this was just a glimpse. A full evaluation of skills at each age level would look at 50 or more skills where this tool only looks at 7- 10 skills for gross motor, fine motor and speech/language skills. If your child misses 2 or more skills in any one area, we recommend an evaluation of those skills by a licensed therapist. Why? A therapist will be able to teach you what to encourage at home and how. Therapy may or may not be recommended for your child. A therapist wants to ensure that each child reaches age appropriate milestones in a timely manner. If your child misses 2 or more skills when we are assessing 7-10 skills in the Interactive Screening Tool, we expect that they might miss significantly more when assessing 50 skills in a formal evaluation! What could happen if my child is behind on skills? Compensatory patterns could develop if your child is not achieving milestones. Your child may try to figure out how to achieve a skill even though muscle weakness exists. This may lead to the development of bad patterns that will affect future skills. For example, speed and agility for sports may be affected if a child does not develop higher level balance skills like 1 foot standing or walking on a balance beam. A child that does not spend time on his belly may show signs of weakness in his trunk or arms effecting handwriting or scissor cutting later. Children that do not like to climb on jungle gyms or swing on swings might find that riding a 2-wheeler is challenging in the future. This could affect social skills and friends as their friends will take off on their 2 wheeled bikes leaving your child behind to find a more sedentary activity to play. Why does it matter if my child achieves skills on time? As a parent, we want our children to succeed at their fullest potential. If our child like Legos or playing the trombone or playing football, all are great. We do not want them to be limited by their motor skills in their choices of what they choose to do or who their friends are. We want them to be able to decide based on their interests not their lack of ability. For example, if your child chooses not to play sports. That is fine. As a parent, we just do not want him/her not to choose sports due to poor balance or strength. If your child chooses not to be an artist, we do not want that choice influenced by weak hand/arm muscles. But just that your child prefers something else. Our job as a parent is to challenge our child at their fullest potential and encourage them to make choices based on their interests. So get educated. Know what your child needs to know how to do and when. That way you will have the right toys in your house. You will know when to get out the messy glue and paint. You will know when to supervise the scissor cutting. 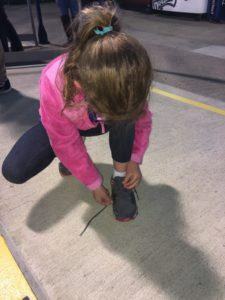 You will know when to leave extra time to “make“ your child tie his/her own shoes or even to be sure they are wearing tie shoes. Good job parent! You are now educated on what your child should do and when. 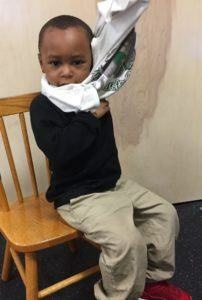 Who else in your world wants to be an informed parent that can empower their child to reach their fullest potential!?! Share this link with them checklist@abcpediatrictherapy.com! Let’s change the lives of children together!